Entomology is the scientific study of insects, a branch of arthropodology, which in turn is a branch of biology. 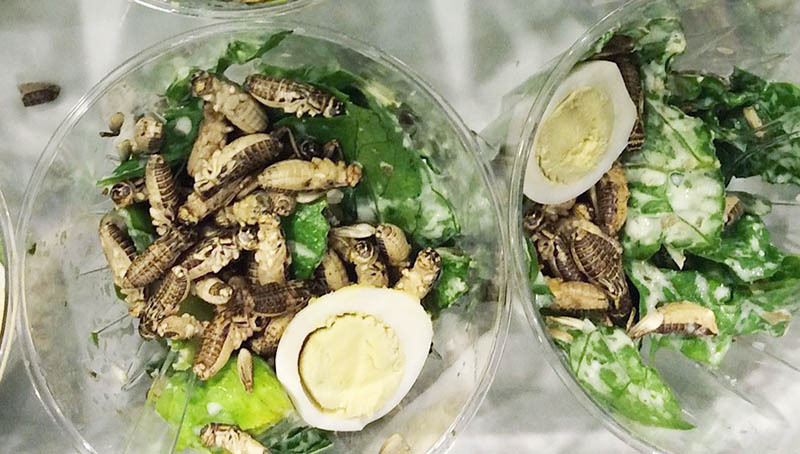 Q: What is Entomophagy ? A: Entomophagy (from Greek éntomon, “insect”, and phagein, “to eat”) is the consumption of insects as food, the term is generally used to refer to human consumption of insects. Entomophagy can be divided into two categories: insects used as a source of nutrients and insects as condiments. Some insects are eaten as larvae or pupae, others as adults. Q: What does Insect-based stand for? Q: What is an Insectivore? A: Animals that eat insects are known as insectivores. Q: Since when humans consume insects ? A: The eggs, larvae, pupae and adults of certain insect species have been eaten by man since prehistoric times and continue to be an item of the human nutrition in modern times. Before humans had tools to hunt or farm, insects may have represented an important part of their diet. Evidence has been found analyzing coprolites from caves in USA and Mexico. A: Human insect-eating is common to cultures in most parts of the world, including North, Central and South America; and Africa, Asia, Australia and New Zealand. Q: What kind of insects are being eaten? A: Over 1,000 species of insects are known to be eaten in 80% of the world’s nations. Some of the more popular insects and arachnids eaten around the world include crickets, cicadas, grasshoppers, ants, various beetle grubs (such asmealworms), the larvae of the darkling beetle or rhinoceros beetle, various species of caterpillar (such as bamboo worms, mopani worms, silkworms andwaxworms), scorpions and tarantulas. Q: Why introduce Insects to western diets? A: Insects as food and feed emerge as a relevant issue among the food industry. A: The viruses, bacteria and fungi that grow on or inside insects. Q: What is an Entomophagous? A: Insects and fungi that obtain their nutrition from insects are sometimes termed entomophagous. Q: Can you catch them and then eat them? A: Yes, but the commercial exploitation of food insects has led to their decline in some places. In general, many insects are herbivorous. Cooking is advisable in ideal circumstances since parasites of concern may be present. But pesticide use can make insects unsuitable for human consumption. Herbicides can accumulate in insects through bioaccumulation. Q: What is #Mini-livestock ? A: The cultivation of insects and edible arthropods for human food. The spatial usage and water requirements are only a fraction of that required to produce the same mass of food with cattle farming. 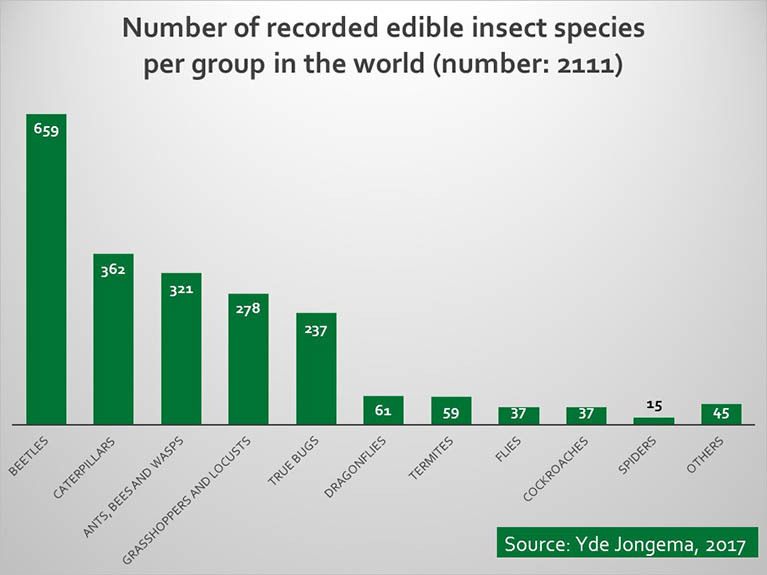 Edible insects also display exponentially faster growth and breeding cycles than traditional livestock. All insect species studied produced much lower amounts of ammonia than conventional livestock. Insects generally have a higher food conversion efficiency than more traditional meats, measured as efficiency of conversion of ingested food, or ECI. The FAO states, animal livestock “emerges as one of the top two or three most significant contributors to the most serious environmental problems, at every scale from local to global. Q: Which are the Insects being considered in the EU? Q: Which are the 3 insects “admitted” to be commercialised in Switzerland? Q: My sister said we already eat insects, is this true ? A: lol (Kudos to your sister) YES .. This is called Unintentional ingestion.. In practice, it is not possible to eliminate pest insects from the human food chain. Insects are present in many foods, especially grains. Food laws in many countries do not prohibit insect parts in food, but rather, they limit the quantity. Q: Where can i find more information about the edible species of insects? The list has been compiled by Mr. Yde Jongema, taxonomist at the Department of Entomology of Wageningen University & Research, the Netherlands. Q: What is Non-wood forest products? A: FAO defines NWFP as being “goods of biological origin other than wood derived from forests, other wooded land and trees outside forests”. 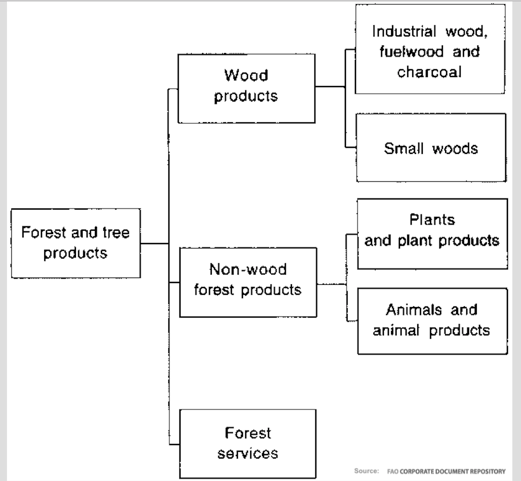 Different terms like secondary, minor or non-timber forest products (NTFP) are also being used by governments, institutions and academics. For further information on the definition of NWFP, please read the article Towards a harmonized definition of non-wood forest products, published in Unasylva, Issue No. 198.NWFP may be gathered from the wild, or produced in forest plantations, agroforestry schemes and from trees outside forests. Examples of NWFP include products used as food and food additives (edible nuts, mushrooms, fruits, herbs, spices and condiments, aromatic plants, game), fibres (used in construction, furniture, clothing or utensiles), resins, gums, and plant and animal products used for medicinal, cosmetic or cultural purposes.